Data Endpoint includes server software installed on corporate servers and client software installed on your computer. This guide tells you how to use the endpoint client software to view status information, set encryption passwords, release files from quarantine, and view logs. It also tells you how to disable the client in extreme cases and update the client software to the latest version. 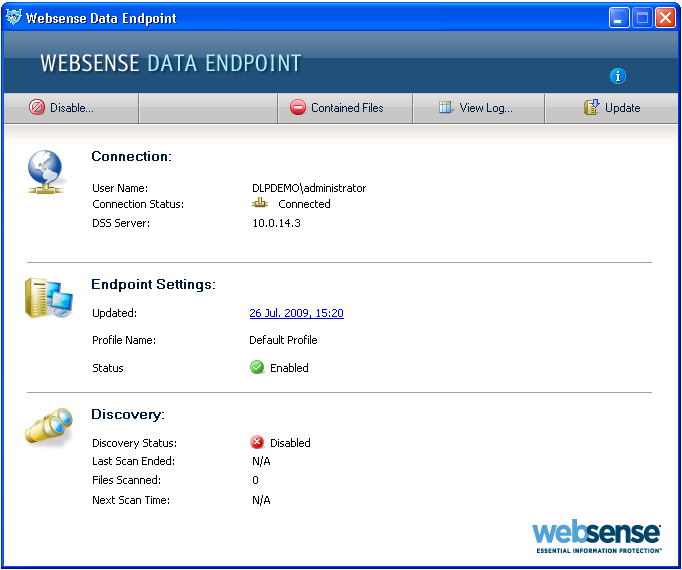 To view the Websense Data Endpoint status information, click the Websense Data Endpoint icon on your task bar.